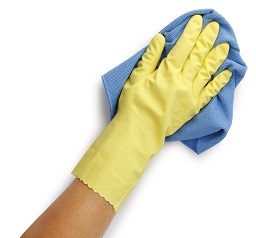 We provide all cleaning materials & equipment. Client confidentiality is maintained and our services are insured. Following initial enquiry, client is visited and a free quote is provided - detailed requirements are taken and a quote is given as to length of time is required for initial cleaning. Established for over 9 years, a Helping Hand is offering a unique service throughout the Mid Glamorgan area. Many of us are feeling the stress of modern day living whether through pressures of work, having to manage single-handed or through illness (short-term or long-term). Maybe you are moving house and don't know how you are going to cope with all the extra work that entails. Are there more clothes in the ironing basket than in the wardrobe? A Training Programme is in hand to ensure that all helpers follow the correct Health & Safety procedures and all follow an Employee Evaluation Programme to ensure standards are maintained and upheld. A Helping Hand recruits capable local people throughout the area who are looking for the type of work that you are struggling to find time to do! Insurance cover and free quotations are provided. Any new staff are CRB checked. 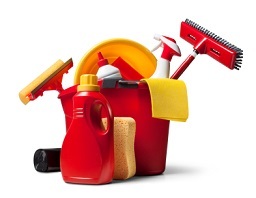 We provide all cleaning materials & equipment. Client confidentiality is maintained and our services are insured. Ironing is carried out at your own house - all you have to do is put it away!